Processed cheeses are common in the supermarket today. "Cheese purists" generally disdain these products because of the many additives found in their ingredient listings. However, this type of cheese reaches a broad group of consumers who demand a cheap product with a mild, pleasing flavor. Children, in particular, enjoy these cheeses. Many consumers also want a product which can be stored for an extended period without spoiling. Industrial producers are able to meet these demands by creating a processed product that ships and keeps well. This type of cheese was probably first created by Swiss cheese makers who recycled imperfect cheeses by shredding and mixing them together to create new products. Today, cheese is shredded and melted, and various additives are stirred in. These may include flavorings, dyes, fats, preservatives, stabilizers, or other ingredients intended to achieve a desired quality or application. For example, the powdered cheese used in boxed macaroni and cheese dinners has to be shelf-stable, while Velveeta melts smoothly for sauces. 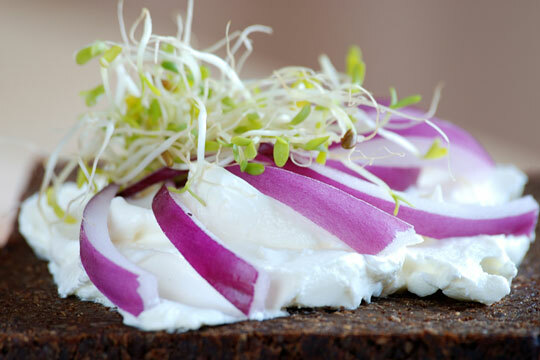 Cream cheese and gourmet cheese spreads, often accented with fruit, vegetables, or herbs, are easy to smear on bagels or crackers. (It should be noted that cheese spreads may also fall into the fresh cheese category, depending on their ingredients and method of production.) Individual red or yellow wax-coated cheeses like Babybels are easy to carry for a quick snack, and kids love their miniature size. 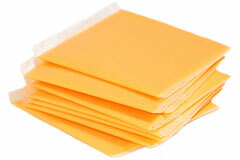 American cheese melts evenly for perfect cheeseburgers and grilled cheese. Processed cheese products keep for a long time in the refrigerator, without any special care to their preservation. While gourmets often scoff at processed cheeses, they do have their place in the dairy aisle. They have found their way into the kitchens — and deli sandwiches — of untold millions by virtue of their affordability, simple presentation, and sometimes, just plain fun. The Bel Group is a subsidiary of Fromageries Bel, headquartered in Paris. This company produces products with mass-market appeal, including The Laughing Cow individual cheese wedges, BabyBel cheeses, and Boursin and WisPride cheese spreads. Borden produces a wide variety of cheeses, including a diverse assortment of cheese singles ideal for deli sandwiches or grilled cheese. Made by a cooperative 100% owned by dairy farmers. Kraft. Cheese products make up a significant portion of this international company's offerings, including boxed macaroni and cheese, American sandwich slices, and well-known brands such as Velveeta and Cheez Whiz.